If you or someone you love like a child or aging parent has a possible hearing loss, it can seem overwhelming and scary. Furthermore, if you suspect you might be losing your hearing you might try to deny it due to feeling embarrassed or feeling worried that your treatment choices will be too expensive, or worse that you won’t be able to improve your hearing. But you don’t need to feel hopeless. For every type of hearing loss, there are treatment options available, no matter how severe your loss of hearing function might be. Instead, take a few minutes to go over the types of hearing impairments below and the treatment options available to treat each type. Auditory Processing Disorders: Auditory Processing disorders aren’t usually related to a physical loss of hearing, but instead occur because a person’s brain has difficulties processing the information transmitted as sound. It’s usually identified during childhood but not always. It’s important to note that other types of conditions can also have the same symptoms as Auditory Processing Disorders and even a clear diagnosis of APD doesn’t indicate that other conditions might not also be co-responsible for these difficulties. Your child’s pediatrician or your doctor if you’re seeking an adult diagnosis for yourself can help you with referrals to other specialists for evaluation of other conditions that can co-occur alongside APD to determine if APD alone is responsible or there are other issues that require treatment as well. Conductive: Conductive hearing loss happens because of issues happening in the ear canal, eardrum, or the middle ear. Common causes of conductive hearing loss include infections, cerumen (earwax) buildup, trauma, tumor, fluid in the ear or a foreign object in the ear. There is also a genetic form of conductive hearing loss called otosclerosis which is due to a defect of the 3rd bone in the middle ear (stapes) that prevents sound from getting to the middle ear. 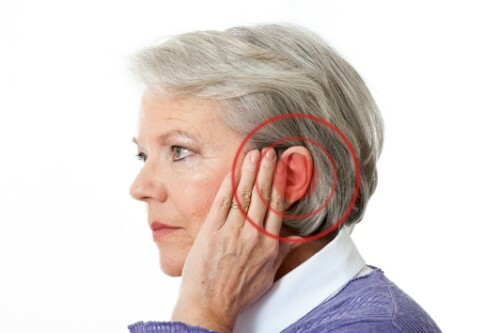 Sensorineural: Sensorineural hearing loss commonly happens when hair cells in the inner ear become damaged. It can also be caused by auditory nerve damage or neurological (brain) damage. It usually appears as a person ages, but it can also show up because of trauma, medical treatments like chemotherapy and radiation, exposure to loud noise, and if it runs in your family. Sensorineural hearing loss is the most common type of hearing loss. Mixed: Mixed hearing loss is a combination of Conductive and Sensorineural hearing loss. Like other types of hearing loss, it can result due to multiple causes including congenital disorders, prolonged or chronic infection, or head injury. Auditory Processing Disorder Treatments: An audiologist like those here at McGuire’s Hearing Centers, can perform an evaluation to determine if an auditory processing disorder is present. There are multiple types of therapists who can help with APD including speech therapists, occupational therapist, and special education professionals. In addition, for some people, an audiologist might recommend a listening device to help filter out unnecessary information like background noise in settings where you or your child needs to focus. For example, during classroom lessons or a business meeting at work. Conductive Hearing Loss Treatments: There are a variety of treatment options available to you depending on the severity of your hearing loss. Sometimes a conductive hearing loss is cured by simply having a qualified medical professional like an audiologist or physician remove the earwax. Other forms caused by trauma or ear infections require surgery that will help drain fluid trapped inside your ears. Most conductive hearing loss is temporary, but if no treatment options restore hearing, hearing aids or cochlear implants. Your audiologists will discuss all your treatment options and coordinate medical care and any surgeries with you and your doctors. Sensorineural Hearing Loss Treatments: Sensorineural hearing loss can’t be treated medically and is a permanent form of hearing loss since the hair cells in your ear don’t repair themselves. But you don’t need to lose hope or feel embarrassed if you’re experiencing sensorineural hearing loss. There are a huge variety of hearing aids and listening devices available and hearing device technology is always improving. Some types of sensorineural hearing loss can be treated with cochlear implants as well. Your audiologist can help you weigh your options and assist you in making a decision on hearing aids that will fit you and your budget. Mixed Hearing Loss Treatments: If you’ve been diagnosed with a mixed hearing loss, most hearing professionals, including us, recommend you treat the conductive hearing loss first. After that, you and your audiologist can decide which device is the best option to help treat the sensorineural component of your hearing loss as well as any conductive hearing loss that couldn’t be treated medically. If you or a family member has experienced a hearing loss, there’s no need to isolate yourself or hide it. Contact a skilled audiologist like the ones here at McGuire’s Hearing Centers, or your doctor. You have lots of options to help you improve your hearing and enjoy your life again.